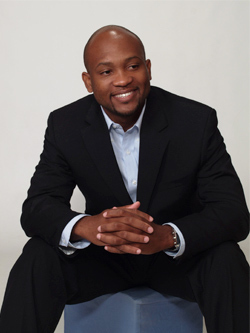 Sterlin Mesadieu is the founder of the Mesadieu Law Firm, PLLC. Sterlin represents clients throughout the State of Michigan. Sterlin's practice primarily focuses on the following areas: criminal defense, drunk driving, divorce, child custody, estate planning, transactional law, and general litigation. Sterlin works vigorously and relentlessly on every client's case – Sterlin is a very tenacious advocate. Sterlin is a member of the State Bar of Michigan, the American Bar Association, the Macomb County Bar Association, the Davis-Dunnings Bar Association, and the Ingham County Bar Association. The purpose of this web site is to provide general information about the Mesadieu Law Firm, PLLC. The information contained in this web site is neither legal advice nor is it intended to be legal advice. You should consult an attorney for advice regarding your legal matters. Sending an email inquiry does not establish an attorney-client relationship. Attorney-client relationship is established when a mutual agreement is signed to retain our firm as your legal counsel. E-mail addresses are provided only for the reader's convenience to facilitate contact with our firm.